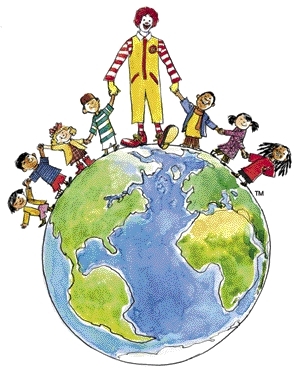 RG Herald: Ronald McDonald to Visit RGC Public Library Today! Ronald McDonald to Visit RGC Public Library Today! Ronald McDonald continues his quest to help kids lead happy, active lives with his new show; "A Friendship Adventure with Ronald McDonald” at the Rio Grande City Public Library, August 9th at 11:00am. This show is all about reading, character, giving back to the community, friendship, anti-bullying and active play. Ronald takes his audience on this adventure through music, magic, games and improvisation. Endorsed by kids and parenting expert and author, Dr. Michele Borba, “A Friendship Adventure with Ronald McDonald” is a fun and magical show geared towards elementary grade children. RGC Public Library is located at 591 E Canales (3rd) St. You may also call 956-487-4389 for more information.